CareRing provides a friendly call to our clients each day to check in, make meaningful connections, and ensure the safety and the wellbeing of our clients. CareRing focuses on older adults (ages 60+) who are at an increased risk of isolation, depression, and suicide. Social isolation is the leading cause of depression and suicide in the older adult population, but is combated with daily social interaction from someone who is empathetic and enjoys listening. 8 hours of online intensive training to provide effective emotional and social support to all age groups, but in particular older adults. Learn skills in crisis and suicide prevention, to include active listening and resources available. A chance to increase an individual's feelings of social connectedness; a chance to make people smile! Semester and year-long internships available (e-mail Mary at mhavers@prsinc.org for more information). You must be 21 years of age to volunteer with CareRing. Must be willing to commit to at least one 3-hours shift per week after successful completion of training for the duration of one full year. Attributes needed are; empathy, a desire to listen to other people's stories, and social connectedness. Must be prompt and have reliable means of transportation required. 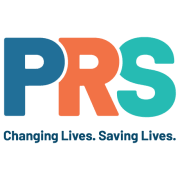 4 More opportunities with PRS, Inc.
One 3 hour shift every week.